It is proven that you can deliver a completely tailored experience to a relevant audience by choosing specific ad placements. It is also true, that sometimes, business goals can be achieved effectively by advertising across multiple ad placements. Many advertisers today are limited by their budget and do not have enough time to experiment with the right ad placement for their brand. It gets even more complicated with Facebook offering 9 separate placement options including the new Messenger ads placement. Auto placements are designed in a way that advertisers would compete in the most cost-effective ad auctions. It helps in getting the lowest CPC, reaching your audience at times of less competition, and combine the right placement with the right target audience. 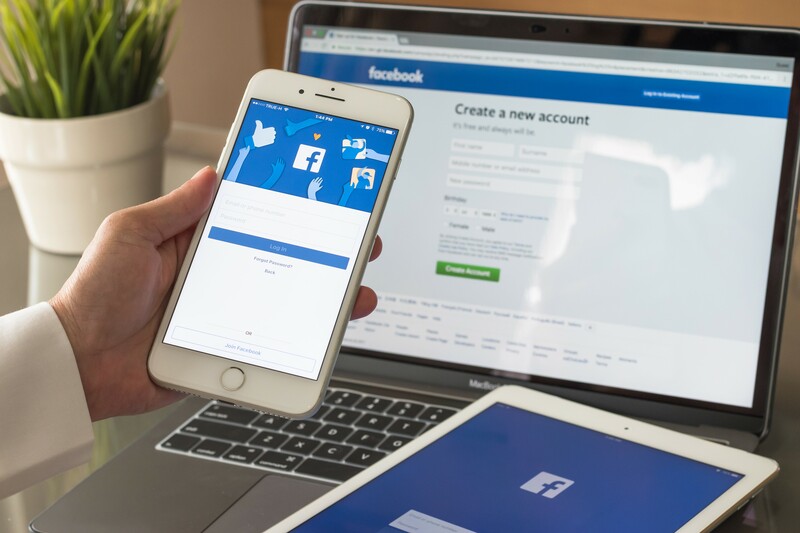 Facebook uses advanced algorithms to determine which placement type performs the best and is the most effective for your brand and accordingly attempts to serve more ads in those winning bids. Content Marketing became a buzzword in digital marketing a few years back and to some it has remained as much. Content marketing is much more than just writing one blog post every week or every month and promoting it on social media. Even if your content marketing efforts are from scratch, that‚Äôs a good starting point. A comprehensive content marketing effort will require incorporating/ including multiple other types of content as well to be successful. Once you have good original and unique content, the next criteria to figure out is the different content types that you can explore. A well-crafted content ultimately connects you with your audience, results in organic traffic and also generates leads. While a creative video might appeal to the younger crowd, a detailed case study will work out better for a older crowd. Earlier this year I came across a unique content type, The Periodic Table of Content Marketing, by Chris Lake, which has now received 10,583 shares at the time of writing. The periodic table gives a glimpse into different aspects such as Strategy, Format, Content Type, Platform, Metrics, Goals and Sharing Triggers. This shows or indicates that audience are always open to grasping new forms of content, as long as they are informative and gets their attention. How do you decide what will be the best fit for your business and the audience you want to engage?¬†There are many types of content, but here are a few of them, that you can never go wrong with. A case study convinces your audience that your product or service is the best available solution to their problem and support it with a real example. It not only targets your audience but also helps in attracting press, link building and traffic from reputed websites. It basically helps you promote your clientele and demonstrate your competence and most importantly, share your impressive results. A case study essentially tells your customer, what you do, how you do it, and what you have achieved. This is a type of content that is typically long and usually downloadable as a PDF. They are often given away for free, in exchange for subscription to the mailing list. That way, you get a new subscriber, who could also be a prospective customer in future. An e-book shows the command you have over your field and is a powerful tool to position yourself as a thought leader or market leader when you share your experience and knowledge with others. A word count north of 6000 words is generally regarded as a good benchmark. When you have something that you audience wants, they will definitely come to you. Usually presented as a downloadable PDF, a guide is a detailed and lengthy format of content. Imagine a guide to be a detailed version of a blog post, but in a different writing style and approach. A guide can be very a useful tool to improve your newsletter subscriber list or base. You tell your reader that you are teaching him/her something new with the help of this guide and in return you ask for their email address. It‚Äôs basically, ‚ÄúRegister here for the newsletter and I‚Äôll give you this very useful guide‚Äú. As the name speaks for itself, infographics is the representation of information or data in a visual medium. It‚Äôs the combination of info (information) + graphic (graphical representation). Infographics are ideal for conveying any thought or idea that includes mostly data points, statistics, research outcome etc. From 2011 to 2015, search volumes for ‚Äúinfographic‚Äù has increased 600% and the volume continue to grow. Audience considers Infographics to be the most loved content format, as it receives the most number of views, shares and consumption. They are an extremely powerful way to create viral content, since it takes less time to consume and very easy to comprehend. Every industry has those successful people and leaders who have a ton of working knowledge and experience. You can garner a lot of respect in the industry and also witness the multifold increase in traffic owing to the popularity of the guest. Every type of content follows a thematic structure that distinguishes it from other formats. We have been introduced to listicles long before we even acknowledged them, right from the Ten Commandments to the top 20 Bollywood songs of 2015. A listicle gives you a mental calculation of how long it will take for you to read it and it‚Äôs assumed as a short read and hence never saved for later read. With BuzzFeed popularizing the format many others have started adopting it, including international media outlets such as the Huffington post and Quartz. This article from BuzzFeed, ‚Äò26 Pictures Will Make You Re-Evaluate Your Entire Existence‚Äô shows the terrific reach of it. It has 2.5 million shares in just 8 months. You can never go wrong with a listicle. Just make sure that your entries are detailed. Spend time curating the best title in order to garner more readers. When you read the word meme, if the first thoughts that come to your mind are 9gag and buzzfeed, then you are on the right track. The word meme is not a recent Internet terminology but rather a term coined by Richard Dawkins in his 1976 book The Selfish Gene where he talks about meme as an entity that helps in information exchange among cultures. Memes dominate the online space just like Infographics and other visual formats. It captures attention immediately, is extremely funny, goes viral and best of all, is very easy to make. Often people believe that Content Marketing and Public Relations are two separate entities. Long gone are the days where a press release was used only to notify businesses and media houses of something newsworthy. PR acts as a push medium where you push to launch a product and content marketing is a pull medium, which works on the basis of credibility and influence. 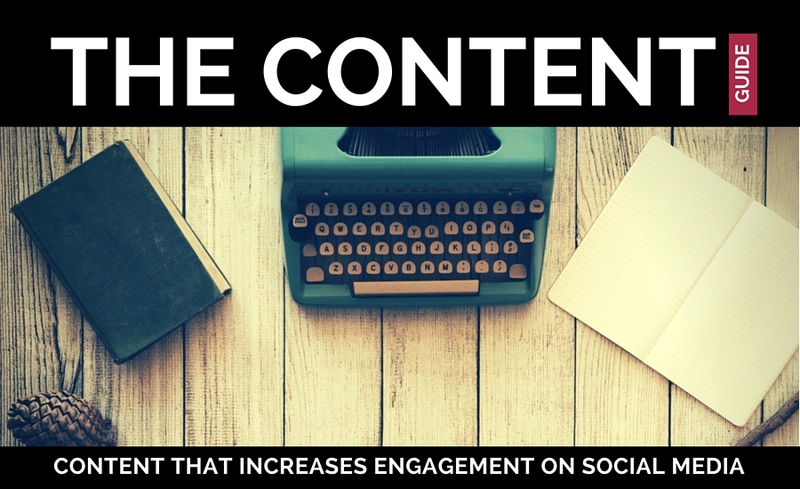 While a press release generates a lot of reach, the content marketing effort will help increase the engagement. A release on owned media could be repurposed to be less formal, crisp, including multimedia and making it ready for sharing. Podcasts provide you with a unique and personalized way to connect with you audience. It is quite similar to an e-book, where you provide informational content, but in a digital audio format which can also be downloadable. The unique feature of a podcast is that, the listener can listen to it while jogging or during commute or while at the gym. Thus making it one of the easiest formats of consumption. The best part is that, it not hard to create podcasts and all you need is a recording app on your smartphone. If you wish to publish a transcript, it adds value to your SEO efforts too. Reviews can help in establishing leadership and command over the industry. Every industry is filled with unique assortment of products, tools, services and more. While engaging with key influencers in the industry, you gain credibility and establish authority and leadership in your industry. Getting started with a reviews is as simple as sharing your experience with the service/product and provide your personal recommendation. A physical product can be accompanied with a video and a software or tool can be accompanied with screenshots. The images and videos provide a more hands on approach and shows people the genuineness. The quiz format is basically interactive in nature and thus has the great ability to engage your audience whilst simultaneously collating data that you need. You not only collect the data which can be roped in to a blog or article, but also cut down the process of gaining responses and using third party tools. To begin the quiz if it requires a sign up, you already have potential customers. Though, keep in mind that some people might not take the quiz if it does require a sign up. Videos are the easiest formats of content to consume and share. Your audience of any target group will love videos as long as it‚Äôs fun, unique, informative and most importantly, memorable. Videos itself is a broad umbrella term and there is a world of variety within videos. A good video can be extraordinarily persuasive, but do remember that, making a good video isn‚Äôt cheap. Simply put, content marketing is giving valuable information to your target audience in the form of articles, blogs, infographics, reviews, how-to-guides, videos, etc. This helps build a relationship with your target audience that eventually results in leads generation, conversion and sales. Anyone with limited resources or any small business does not need an exhaustive, full-fledged content marketing plan. 93% of B2B marketers are using content marketing (source: TopRank). What you need is a simple plan utilizing blogs, videos and podcasts that helps you reach your goal. Every piece of content should appeal and address the needs of a specific target audience. The content has to be optimized for the audience and itdoes not work the other way around. Get to know your audience by learning about their demographics, interests and communities that they are a part of and listening to what they are talking about. – An individual’s content marketing effort is to teach and show his expertise and understanding of the industry to like-minded people. They help in establishing you as an authority in your field. – A SMB generates interest in the products offered and educates people about their product range. This can also be used a platform to help troubleshoot and provide support to already existing customers. – An agency creates a community around their area of expertise and builds relationship with its potential customers. The objective is to convert them into clients in the future. It is important for you to set a minimum of two goals that answer the following question. Where do you want to be and what is the success criteria you want to achieve 8-12 months from now? 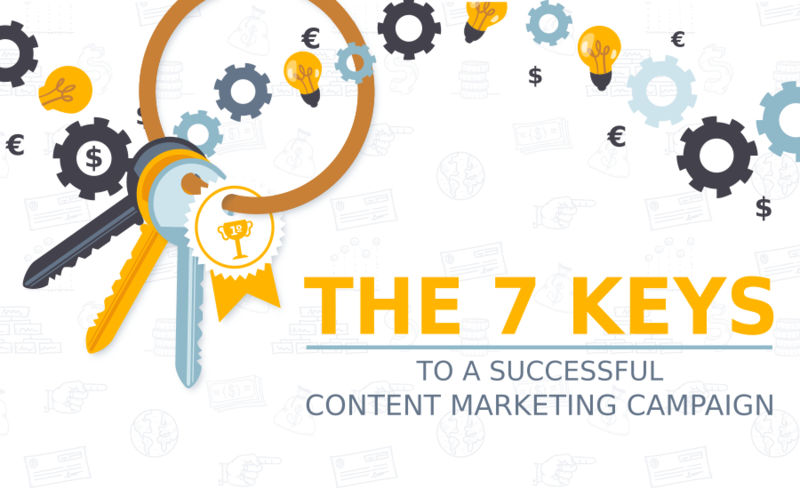 Over time, you would be able reap the benefits of your content marketing efforts. – Your goal as a SMB can be focused on selling x number of products or increasing the share of your online sales by 20% within 6 months. – Your goal as an agency will be to convert 50% of leads into clients from the current 25%. It can also be as different as hiring resources, doubing or even tripling your email base and subscriber list, or increasing your e-book downloads. What type of content will you produce? There are two ways to look at the types of content to have a clear picture of what you will create. One approach is to focus on what are your skills and strengths that can be used to create content, since you will be doing this by yourself. The other approach is to determine what your target audience needs and create content catering to their needs. Once you have determined which approach will make sense to your content marketing effort, you will have a clearer picture of the types of content you should start working on. In order to be successful, your content marketing bucket needs to be an assortment of text, visual elements and call to action to consistently engage with your audience. Your campaign should include how to guide, explainers in the form of text and video, real life scenarios, facts and statistics, etc. It is the act of discovering, gathering, organising and presenting digital content related to a particular topic to your visitors. Though there is minimal original content, it becomes highly valuable content to the visitors’ thus driving traffic. The art of presenting facts and figures in a visually appealing and easily understandable format. Infographics crunch numbers and present it in an easily sharable and understandble format. May people search on google and yahoo to learnhow to do things. What makes a tutorial most interesting is the fact that you teach people to do something with easy to comprehend, step by step instructions using visual elements. The easier your tutorial is, more the number of visitors. A guide should be a value add for your visitor by teaching them to do something that they did not know earlierdevelop a new skill or teach them how to do their business better. What should your content do? The most important step is to visualize and imagine what your content will do when your efforts are in place. This reverse tracking helps your content marketing efforts stay relevant and meaningful. Content about celebrities or the current stock market scenario is a definite hit in bringing traffic to your site, but its time based and once the traffic drops, there is no coming back. When your content remains relevant, useful and wanted over time it’s a sign of successful content marketing, also referred to as evergreen content. Your audience remember you more when you share with them. Share your expertise, experiences or knowledge. If you can combine two or more of the above, you have a winning strategy. Building credibility does not happen overnight and it takes patience, hard work and time to reflect. Once you build credibility, you can sit back and enjoy the benefits. Establishing your blog is the first step towards credibility. Your content shows acceptance and credibility through visitor traffic, comments, subscriber list, social media shares, etc. An editorial calendar is a document that helps you create a roadmap for your marketing plan and helps you keep track of your efforts. Companies spend, on average, 25% of total marketing budgets on content marketing (Source: Heidi Cohen).You will know what to create, design, develop and publish well in advance, thus reducing the last minute pressure. Your calendar includes the timeline of content to be produced, what type of content will be produced, topics, keywords, personas, distribution and ensure it’s posted on time. When you have separate teams taking care of design, content writing, promotion, SEO and analytics, this acts as a solid system to manage all teams. Consistency shows professionalism and commitment, accompanied with results in content marketing. 54% of the most effective marketers has a documented content marketing strategy (Source: SproutWorth). Your schedule does not need to be two blogs per week. It is extremely difficult and takes time to reach a comfort level at this stage. Start with twice a month and have a goal of reaching once per month within a year. Whatever be your schedule, stick to it! Meeting deadlines help you shorten your deadline and also improves your efficiency. Always remember, quality of your content is more important that the quantity of content you produce. Believe it or not, writing content is only half the battle won and is usually overlooked by many. One of the most challenging parts of content marketing isn’t the content creation part, but figuring out the most effective way to promote it. There are multiple other ways to reach your audience using both organic and paid promotions. The options range from emailers, social media, online communities, SEO, advertisements, content curators, comments and much more. It will be impossible for your audience to discover your content among the pile of information on the internet. Social media is the most effective strategy to reach your target audience effectively. There is no single successful platform but the ideal platform depends upon your target audience. Schedule your posts on social media to promote your content. There’s a lot of buzz about social media, return on investment (ROI), reach and impact. However, very few companies actually understand the strategy behind a social media campaign. In the world of social media, trend is the most important factor in driving the efforts of your marketing campaign. Companies with huge marketing budgets usually have dedicated teams for social media, SEO and digital marketing. Your company may or may not have a dedicated social media team, but you can run a successful social media campaign with these few simple tips..
Before you start your social media activities, ensure that your social media accounts are live and updated on Twitter, Facebook, LinkedIn, YouTube, and other social media channels. Having a live account means, you have you bios, updated images and design that links all your channels uniformly. Always ensure that the branding and messaging is consistent. Every campaign has a specific set of goals which includes a variety of things ranging from newsletter signups, e-book downloads, to generating leads for business. These goals should be paired with relevant themes that assist in goal conversion. Always start with a theme and create a series of messages that gradually nurture your audience with relevant information. Develop a calendar to maintain deadlines and also track your progress. While your content is one half of the campaign, metrics and measurement are the other half of the campaign. Expanding digital marketing efforts to a global target group, provides a great opportunity for global marketers and creates a community of customers across the world. However, reaching out to an international audience requires a lot of understanding of culture differences, online behaviour and localisation. Before you chalk out your digital marketing strategy for your global audience, consider these 5 tips to successfully engage in meaningful conversations with them. Time is the biggest challenge when reaching out to a global audience. The right time largely depends upon the locations of the audience and the optimum posting time for individual countries or culture. The first step is to identify where the majority of your audience is based and which time zone they follow. Tools such as Tweriod and Followerwonk will help you to review your analytics to identify the most engaging time for your brand. Then club the most optimal time and post across time zones to gain maximum engagement. English still remains the single most widely used language in the digital world and it is even considered the lingua franca, especially in the business community. But, be it website content or social media engagement, nothing makes the audience more comfortable than conversing in your native language. According to Internet World Stats, 23.2 % of internet users speak Chinese. Now, imagine the amount of prospective consumers a business will miss, by ignoring a language. While it is critical to address the customers in their preferred language, providing the right translation of the English words does not suffice (Please, don’t even think of google translation). The key is to translate the ‘message’, without losing the inherent meaning. Audience relate to the message better, when the language is localized using the nuances and style of the native speaker. With websites such as fiver.com and elance.com, you can find native-speaking translators who complete the job effectively. Also, it is crucial to ensure that your designs are not text heavy since they can’t be translated and incur additional costs. Translating the content on your website to various languages to suit your global audience is only the tip of the iceberg. Firstly, having a thorough understanding of your own culture helps you to compare and make note of the differences and smaller details. Secondly, having an open mind to comprehend another culture goes a long way in engaging with your audience. Study material on a particular culture highlights the stereotypical characteristics but may not help you understand the culture specifically. Constantly interacting with people from multi-cultural backgrounds will help you know your audience better.